My favorite projects are those where needs conflict. How do you balance security with privacy in a prison hospital? Or, insure a safe � but also homelike � environment in a group home for severely disabled adults?營 believe that when you can talk and learn and poke and probe you can create projects that are a catalyst for change. With more than 20 years of consulting experience, Ms. D扐gostino has worked with a full range of healthcare institutions from small rural hospitals to major medical centers. 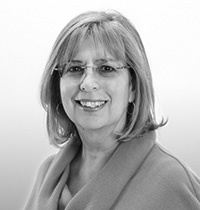 Her expertise includes facilities master planning, space planning and space programming.� Ms. D扐gostino has planned many unique health care facilities such as a hospital for AIDS infected children and a maximum security prison hospital.燬he recently led the planning effort on the Rockland Children抯 Psychiatric Center in New York and the flagship Leon Medical Center in Miami.營n all projects, her goal is to create a built environment which fosters the highest quality of care. 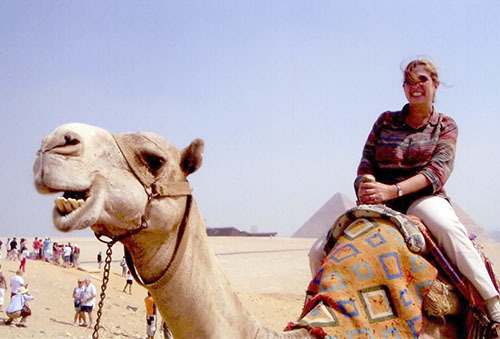 The 揻un-ist� things I have done are flying an airplane, swimming with dolphins in Manele Bay, and riding a camel (see photo for proof).